What is Optico Fiber Basic offering? Optico Fiber is gigabit Internet connectivity, offering speeds 100 times faster than today's basic broadband! Enjoy up to 1 Gbps upload & download with no data transfer caps. Telephone service is available as an add-on option. We also offer a Basic Internet plan with up to 4 Mbps download & 1 Mbps upload speeds. The FREE plan is guaranteed for at least 4 years per household physical address once construction to your home has been completed. One gigabit per second (Gbps) is equal to a 1,000 megabits per second (Mbps) connection. A gigabit is over 100 times faster than the Internet connection than most households in Puerto Rico currently have . With a Gigabit connection, downloads will be instantaneously. You no longer have to wait on movies buffering – it will be ready when you are! Whether you are video chatting, uploading family videos, or playing your favorite online games, all you need to do is click and you’re there. Gigabit service makes everything you already do online up to 100x faster. No more waiting to buffer videos or upload photos. Gigabit service will also revolutionize the web in new ways. Imagine chatting with your doctors or teachers via HD video conference, or collaborating on a work or school project with contributors across the globe in real time, without delays. A gigabit is the Internet experience of the future. We're building our Optico Fiber network by demand -- we only bring service to fiberhoods (vecindarios) that meet sign-up goals. To get service for your home, you need to sign up and choose a plan before the sign up period for your fiberhood ends. To see status of your fiberhood and to sign up, visit www.opticofiber.com, select Cities from the menu bar and choose your City, then find your home on our fiberhood map. If your fiberhood qualifies, we'll begin construction in your fiberhood shortly after the sign-up period ends. This process will take some time. Once we're ready to connect you, we'll get in touch and schedule a time for an Optico Fiber team member to come to your house and install your equipment. If your fiberhood is listed as constructing or constructed, your sign-up period has ended and you cannot sign up for Optico Fiber at this time. Does OpticoFiber Basic have business products? Can I call Optico Fiber to get help? Of course! 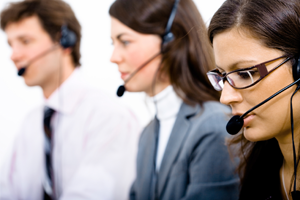 You can reach our Customer Service team via email (support@criticalhub.com), or by calling 787-957-6000. They are happy to answer any questions you may have. The Customer Service team is available Monday-Friday from 8am to 7pm, and on Saturday from 9am to 5pm. A fiberhood is similar to a neighborhood. Fiberhoods are small area within a city usually composed of 1 or more neighborhoods. Fiberhoods are determined by local neighborhood definitions, and given their boundaries based on city roads, parks and other landmarks. I can’t find my address on your website. What now? Please verify that you have entered the correct street name, house number, city name and zip code. You should not need to enter your urbanization name. What is a qualified fiberhood? A qualified fiberhood is a fiberhood which has met the sign-up goals. We will only bring service to those fiberhoods which have qualified. How do I know if my fiberhood is qualified? Does Optico Fiber have any data caps on my usage? Not at all! Optico Fiber has no caps or limits to the amount of data you can send or receive. Can I use WiFi with Optico Fiber? Yes! Optico Fiber’s standard installation includes a Network Box with a 1 Gigabit Ethernet Port. However, for an additional fee, you can upgrade the Network Box to one that include WiFi, designed to give you access to Optico Fiber throughout your home. You can also install your own network hardware – its completely your choice. Things to remember. Homes which are built with dividing walls in reinforced cement will cause the WiFi signal to degrade, and you may need to install repeaters around your home. During the installation of the Optico Network Box, our Optico Fiber Team member would be happy to answer any questions you have regarding your particular needs in your home. Will the Wi-Fi connection be as fast as a wired connection? No. Wi-Fi is slower than wired connections. However, the WiFi technology in our Optico Fiber Network Box will provide for great connectivity. In order to take advantage of gigabit speeds, you will need a computer, laptop or device that supports a gigabit connection. In other words, the device should have an ethernet network interface card that supports 1Gbps – often called a 1000BaseT Network Interface Card (NIC). My computer only supports 100Mbps… will it still work with Optico Fiber? Definitely! The Optico Fiber Network Box can adapt to computers that can only connect to 100Mb, or even 10Mbps! Will Optico Fiber work with my existing TV or other devices? Optico Fiber was built to support leading industry standards and should work with devices you have today. If you experience a problem, just let us know. Does Optico Fiber offer traditional CableTV service? No. Traditional Cable TV is so 1960s. Today’s TV is Digital – available over-the-air for free or streamed online where you want it, when you want it. Optico Fiber will help you cut your CableTV cord! With Gigabit service access, you can full advantage of existing online Cable TV alternatives. This includes content directly from networks like NBC, CBS, ABC and FOX. It also includes IPTV providers such as Hulu, Crackle, Netflix, Amazon, Dishworld, and Apple iTune/AppleTV, which offer access to the same shows you normally see on Cable TV, streamed to you when you want to see them. Still need your local news & information? Many local stations are streaming their content online. However,today’s high quality over-the-air Digital TV (DTV) is available free. Just install an HDTV antenna in your home. HDTV antennas are available in many models (indoors & outdoors) and from various distributors includes Radio Shack, Best Buy, Sears, among others. In Puerto Rico, there are 20+ HD-quality DTV over-the-air stations available. A basic HDTV antenna costs between $40-60 dollars. If my fiberhood qualifies, when will Optico Fiber be installed in my home? Our goal is to bring Optico Fiber service to our customers as quickly as possible. We hope to have Optico Fiber installed in every qualified fiberhood within 6 months from when your fiberhood's sign-up period ends. There are a lot of things which could impact this timing, including how many people sign up, weather conditions, and when we receive all permits required from entities including the municipality, electricity and power pole provider. Once the sign-up period has ended, we'll let you know if your fiberhood met it's goal and what to expect next - including a more specific estimate on timing. When it's time to connect your home, we'll email you to schedule your installation appointment. Why aren’t apartment buildings and condominiums treated the same as houses? Each apartment building and/or condominium has its own governing board (Junta de Condomines). The governing board needs to sign a contract with Critical Hub Networks, giving us access to the property. Additionally, the installation & build-out requirements per structure differ from building to building. A cost assessment needs to be completed so we can establish the actual construction fee to each building. We'lldo this by visiting your building and creating a detailed description of the site conditions & installation requirements. Think of each apartment building and/or condominium as a Fiberhood with particular requirements. How many sign-ups does my fiberhood need to meet its goal? How did you determine how many sign-ups were needed to quality a fiberhood? All fiberhoods are different. They vary in physical size, number of households, density, as well as speed and ease of Optico Fiber construction. For example, houses that are spread out require more time, fiber and labor, and therefore can be more difficult to connect than homes in a denser environment. In those fiberhoods that are more complicated to build, we need to make sure that enough residents want Optico Fiber. We looked at all of these factors when setting each fiberhood’s sign-up goal. When do I choose a Optico Fiber service plan? How can I help get more people to sign up in my fiberhood? Excellent question! Encouraging your neighbors to sign up for Optico Fiber can help qualify your fiberhood. If they need more information, they can visit www.opticofiber.com , or call our Customer Service team at 787-957-6000. You can also visit our local page to download a toolkit of information to help get the word out. When does the sign-up period for my fiberhood end? To check your fiberhood’s status and sign-up deadlines, visit www.opticofiber.com and enter your address. My fiberhood's sign-up period has ended. What now? What happens if I miss the sign-up deadline? If you recently moved in or missed the sign-up deadline for your fiberhood, please sign up for email notifications on www.opticofiber.com so we can keep you informed on future developments in your fiberhood. Once the sign-up period ends, which fiberhoods will get Fiber first? After the sign-up period has ended, the Optico Fiber team will determine the deployment order for qualified fiberhoods. Our goal is to plan the deployment order that will bring service to all of our customers as efficiently and quickly as possible. I am stuck in a service contract with another provider – but I really want Optico Fiber. What should I do? If you can't or don't want to cancel your existing contract right now, but you still want Optico Fiber, we recommend that you sign up for the Basic Internet plan. You'll pay $50/month for 6 months (or a $300 lump sum), which will cover the construction cost of your fiber-to-the-home drop. Your home will be ready for its upgrade to gigabit service anytime you’re ready. I've already chosen a plan, but I'd like to change the plan I selected. How do I do that? No problem. Please contact our billing department at billing@criticalhub.com with your name, email address, and physical address of your home and we will be happy to assist you. Changes make before service construction begins will be processed immediately. Yes, you can change your service plan at any time. Please email billing@criticalhub.com for assistance. Once service is activated, service plan changes will be processed at the end of each month. I have a landlord. How does the sign-up process work for me? If you building has more than 8 units, your landlord or property manager will need to sign a contract with Optico Fiber before we can bring you service. You can help by directing them to our website www.opticofiber.com , providing our Customer Service number 787-957-6000 and encouraging them to bring Optico Fiber to your location. Do apartment sign-ups count towards my fiberhood’s sign-up goal? If the apartment building has more than 8 units, we typically need a contract with the property manager before we can bring Optico Fiber to the building. If your property manager or HOA signs an access agreement, we'llcount every unit towards the sign-up goal. This means individual sign-ups by tenants won’t count since we’ve already included the units based on the contract. I live in a fiberhood in San Juan that did not qualify previously. Will I be able to sign up? Yes! We’re giving residents in your fiberhood another chance to tell us you want Optico Fiber. Please visit www.opticofiber.com to check the status of your fiberhood and sign up. Remember, Optico Fiber is deployed in fiberhoods that meet the sign-up goals. So – help us get the word out! Encouraging your neighbors to sign up for Optico Fiber service can help qualify your fiberhood. If you or your neighbors need more information, visit www.opticofiber.com, our contact our Customer Service team at 787-957-6000. You can also visit our local page to download a toolkit of information to help get the word out. I paid a registration fee. What happens to it if my fiberhood doesn’t meet its sign-up goal? If you sign up and your fiberhood doesn’t meet its goal, we'llcancel your registration and refund your $10 registration fee to the original form of payment. What happens to my registration fee if I cancel my sign-up? If you cancel before your fiberhood's sign up period ends, we'll refund your registration fee to your original form of payment. If your fiberhood qualifies and you cancel after the sign-up period is over, we won’t be able to issue you a refund for your registration fee. I already have Optico Fiber installed. How do I cancel? If you're signed up and your fiberhood qualifies, we'll contact you in a few months when it's time to schedule your installation appointment. I need to change my installation appointment time – what do I do? Give us a call at 787-957-6000 and we can help you reschedule. Our installers will go over all the details with you when they arrive to make sure you’re comfortable with exactly what is being installed and where. Please check out our videos section, which includes a video explaining the Optico Fiber installation process. Before your installation day, we'll be working outside in your fiberhood, getting Optico Fiber ready to bring to homes. We'll be stringing Fiber on utility poles and in some cases installing it into the ground. Next, we'll bring the Optico Fiber connection from the street to the side of your house. This will happen before your scheduled installation appointment. Before we go to the side of your house, we will knock on your door to let you know. Once we have delivered the fiber to the side of your house, we'll contact you to schedule your installation. On installation day, the first step will be to drill a small hole in your exterior wall to bring the fiber inside. We will cover the hole with a mounted wall plate and connect the fiber to your Network Box. The Network Box is your Optico Fiber router, enabling connectivity to devices throughout your house. Before we start, our installer will work with you to determine the best location for your devices, and you’ll get to pick where it should go (within reason). If you have requested other features installed, like WiFi Access Point and/or Telephone service, the final installation step will include installing devices. Which devices will be installed with Optico Fiber? What is included and what is additional? Optico Fiber's service plans include a Network Box, which will provide at least two (2) Gigabit Ethernet wired ports for connectivity. You can upgrade your Network Box to one which includes RJ11 phone jacks for and additional one-time fee of $20. You can also upgrade your Network Box to one which includes WiFi plus four (4) Gigabit Ethernet ports and two (2) RJ11 phone jacks for an additional one-time fee of $40. Can I build my own Optico Fiber connection? How do I sign in to your website to manage my account? Visit www.opticofiber.com and sign in with the email address and password associated with your Optico Fiber account. Do you provide email with Optico Fiber to replace my current ISP-provided email address? No, Optico Fiber does not provide email account. There are many free email services online which you can use, such as Gmail, Yahoo! Mail, Hotmail, mail.com, among others. Just go to www.opticofiber.com, sign in again, and choose a different plan. 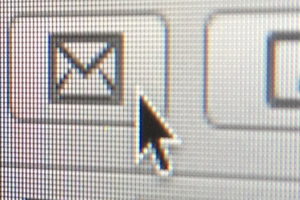 At the beginning of each month, you’ll receive your monthly Optico Fiber bill in your email inbox. Your credit card will be automatically charged for the next month’s service. You can use a credit card to pay for your Optico Fiber bill. In addition to regular credit cards, we accept debit cards and prepaid debit cards with a Visa®, American Express®, or MasterCard® logo. We do not accept cash or checks. Will I receive a bill by mail? No. We will email your bill at the beginning of each month. Do I need to use the same credit card for the monthly charges that I used to sign-up? We have the credit card on file that you used to sign-up, and will bill that credit card by default. However, you can change your credit card at any time. How much will you bill me each month? This depends on the Optico Fiber plan you chose, and if you ordered any additional equipment. When you sign-up for your plan, you’ll be able to see a full summary of your costs. All services and features may be subject to taxes and fees, which may vary. Click on the Plans tab above for more information. Why is there a construction fee? The construction fee will help cover the cost of labor and materials used to bring Fiber and internet connectivity to your home. The construction fee is waived for Gigabit customers, who maintain their service for 2 years, since they will already be paying a monthly service fee. Customers who choose our Basic Internet package will pay the construction fee, either in one lump sum or over 6 months, but will pay no monthly service fee for 4 years from the date of installation. Optico Fiber brings gigabit-ready Fiber cable directly into your home. Simply having this connection may add value to your home and will put you on the cutting edge of broadband technology. Are there taxes? How much are the taxes & fees? The applicable taxes & fees are dependent on various factors, including the current laws of Puerto Rico & your municipality, current US federal laws, the Optico Fiber service plan and additional features you select. The exact amount will be listed on your monthly bill. What happens if my debit card doesn’t have enough funds, or my credit card is declined? You will receive an email indicating your payment was declined. Your account will become delinquent, and your service may be suspended if you do not pay your outstanding balance within 20 days. Your service may be suspended if you do not pay your outstanding balance within 20 days. How long will the Basic Internet service be Free? The Basic Internet service will be free of a monthly service charge (excluding the construction fee) for at least four years after construction is done in your fiberhood. At the end of four years, we will begin charging the market price for comparable speeds. Does Basic Internet Service for 4 years apply to my home? Every Optico Fiber-installed property will receive 4 years of Basic Internet associated with that address, commencing on the date when installation was completed. You or a future owner or tenant can subscribe to the Basic Internet at any point for up to 4 years from the initial installation of service, subject to the terms and conditions. For example, let’s say you sign up for Optico Fiber service. One year later, you sell your home. The new owner of the home will have 3 years of Basic Internet remaining, subject to our terms and conditions. The buyer can also choose to upgrade from Basic Internet to Gigabit service or any other available plans. I am starting with Basic Internet, but thinking about switching my service plan. What are the policies with the construction fee? Once your house is connected to Optico Fiber, you can switch to another plan at any time. If you are switching from Basic Internet to a paid Internet service, any remaining construction fee will be waived. If you prepaid your full construction fee, we'll issue a credit for the pro-rated construction fee for the remaining months of your contract. Simply having a Optico Fiber connection may add value to your home and will put you on the cutting edge of broadband technology. You are responsible for paying your construction fee (see question regarding cancellation). Your new buyer may sign up to be a Optico Fiber customer. If I don't like the service, will my construction fee be refunded? The construction fee covers laying fiber to your home. Once we have built Optico Fiber to your home, the construction fee is non-refundable. Optico Fiber owns the Network Box. If you cancel service and you rent your home, please check with your landlord about what to do with the Network; otherwise, please return the Network Box to us. You can bring it to our offices at 1314 Ponce de Leon, Santurce, or contact Customer Service at support@criticalhub.com to coordinate your method of returning the equipment. See the Subscriber Agreement for more details. If you have any additional questions, please give us a call: 787-957-6000. Help me understand the basics of your subscriber terms. The terms vary depending on which Service Plan you select. Basic Internet: Basic Internet: Once you signup for Basic Internet, you are responsible for paying construction fee. You can either do this in one lump sum or in installments over 6 months. Gigabit service: You have a 24-month commitment. If you cancel service or switch to Basic Internet before the 24 months are over, you will need to pay the prorated balance of your construction fee. For example, if your construction fee was $300, the prorated balance would be calculated as $12.50/month times the number of months remaining in in your 24-month term. Gigabit service: You have a 24-month commitment. If you cancel service or switch to Basic Internet before the 24 months are over, you will need to pay the prorated balance of your $300 construction fee. The prorated balance is calculated at $12.50/month times the number of months remaining in in your 24-month term. Gigabit + Phone: You will have a 24-month commitment. If you cancel service or switch to Basic Internet before 12 months are over, you need to pay the prorated balance of your construction fee. For example, if your construction fee was $300 then the prorated balance would be calculated as $12.50/month times the number of months remaining in in your 24-month term. What happens if I want to cancel my Optico Fiber service? You can cancel your service any time before we begin construction in your fiberhood, and your $10 registration fee will be refunded. If you decide to cancel Optico Fiber after the sign-up period ends in your fiberhood, you’ll be responsible for the full Construction Fee minus your original $10 deposit. If you had any Optico Fiber service for more than 24 months, you owe nothing. Contact Customer Service to coordinate the return of the Network Box in good working order within 20 days of cancellation. If you paid the construction fee in full, you owe nothing. Contact Customer Service to coordinate the return of the Network Box in good working order within 20 days of cancellation. If you had Optico Fiber for less than 24 months and you have not paid the construction fee in full, you owe the prorated amount of the construction fee for the months remaining in the first 24 months of service. If you cannot return the Network Box in good working order within 20 days of cancellation, we will calculate a prorated amount based upon the value of the device which you will be responsible for. Our Terms of Service prohibit running a server for commercial purposes. However, personal, non-commercial usage of servers that complies with our Acceptable Use Policy is acceptable, including using virtual private networks (VPN) to access services in your home, and using hardware or applications that include server capabilities for uses like multi-player gaming, video-conferencing, and home security. What information does Critical Hub collect from Optico Fiber users? Critical Hub will collect the personal and account information you provide when you sign up for Optico Fiber. You will have easy access to the personal details you provide, such as your street address, which can be seen once you login to your account at www.opticofiber.com. In addition to the information collected from users, Critical Hub will also collect technical information, such as Fiber device uptime, data transfer speeds, packet loss and other diagnostic information for Internet and Phone. This helps us provide you with the best possible service experience. Will information about what happens over my Optico Fiber connection be associated with my account? If you choose Optico Fiber as your service provider, information from your service usage – such as the URLs of websites visited or the content of emails sent - may be accessible to Critical Hub. However, this usage information won’t be associated with your Optico account or accessed by Critical Hub unless we have your consent to do so or if an applicable law, regulation, legal process or enforceable governmental request requires us to do so. There is certain technical information that may be associated with your Optico account, which would be used to help manage or maintain your Fiber connection and keep it secure. This includes things like how often and how long the service is used or the amount of bandwidth used. As explained in the Optico Fiber Privacy Notice, we will get your consent before using information that is associated with your account. Does Critical Hub share my personal information with third-parties? Upgrading your Multi Dwelling Unit (MDU) to Critical Hub’s Optico Fiber service will make it more attractive and valuable for residents. As soon as Optico Fiber is installed at your property, residents will have access to free Internet at today’s basic broadband speeds. Residents can also upgrade to next-generation gigabit-speed Internet and crystal clear phone service. They will be able to stream online TV content that Netflix&COPY;*, Hulu&COPY;*, Apple&COPY;*, Roku&COPY;*, Crackle&COPY;*, DishWorld&COPY;* and many other content providers offer. Get started today and be one of the ﬁrst MDUs in Puerto Rico to have Optico Fiber! *Note: Netflix&COPY;, Hulu&COPY;, Apple&COPY;, Roku&COPY;, Crackle&COPY;, Dish World&COPY; may charge additional one-time and/or monthly fees for access to content. Visit the website of those providers for more detailed information. If you own, manage or administer a Multi-Dwelling Unit(MDU) or condominium please fill out this form. We define a Multi-Dwelling Unit (MDU) as a property with more than 8 units that requires approval from a third party (owner/manager) to install Optico Fiber service. This is a property that contains multiple residences, such as an apartment building or condo complex. Multi-Dwelling Units are usually properties which are classified as a horizontal property. What buildings qualify for Optico Fiber for apartments and condos? We define a Multi-Dwelling Unit (MDU) as a property with more than 8 units that requires approval from a third party (owner/manager) to install Optico Fiber service. This is a property that contains multiple residences, such as an apartment building or condo complex. Ready to get Fiber for your MDU? Fill out this form and we'll contact you to get started. For Residents – Do you rent an apartment, condo, single-family home, or townhome? I am renting a single family home. You mention I needed permission from my landlord to get Fiber. What should I do? If you rent a single family home, it is your responsibility to get permission from your landlord. This could be a letter or verbal permission. Once you have that, go ahead & sign up for Optico Fiber. My landlord already signed up my property for Optico Fiber. Do I need to do anything? Yes! Even though a Fiber drop will be installed into your unit, you still have to choose your plan to activate your connection and become an Optico Fiber subscriber. This means selecting a plan (Basic Internet, Gigabit service, or Gigabit + Phone ) and agreeing to the terms and conditions and subscriber agreement of Optico service. I am the property owner for an MDU. How do I bring Optico Fiber to our building? Critical Hub Network believes in bringing people and communities together using technology. The web becomes a better place as each of us joins together to learn, share, collaborate, and contribute. That’s why we are committed to bringing Optico Fiber to selected local community sites. Community Connections may include public and non-profit organizations which are chosen by Critical Hub to receive gigabit Optico Fiber connectivity at no cost. For example, we may choose schools, libraries, community centers, and other public facilities. Find out if your fiberhood has a local Community Connection by entering your address on our Cities page. What will your community connection include? Gigabit service. All Community Connections will be equipped with a symmetric gigabit Internet connection (up to 1 Gbps upload and 1 Gbps download) over Optico Fiber’s network. Dedicated Support. We have dedicated phone support available, along with email and chat support. For any issues with Community Connections, we will provide a next business day on-site response, as necessary. We know the community is relying on your Internet connection, and we're here to support you. Static IP Addresses. Community Connections also receive 1 static public IPv4 address. If construction is required beyond what Critical Hub deems commercially reasonable, construction will be completed at the site's expense. How does Critical Hub select which Community Connection sites receive free Optico Fiber service? Critical Hub will focus on non-profit organizations which are offering services to the public. Community colleges, K12 schools, libraries, health care facilities, government facilities, social service providers, and public recreation centers are among some of those sites which could be considered a Community Connection site. Critical Hub will consider feedback we receive from the community – including the municipality, urbanization, and residents themselves. o Explain how the site will use Gigabit service access to benefit the community it serves. o Explain how the Optico Fiber connection will also help the expansion and adoption of broadband by residents in the area. My site is an approved Community Connections non-profit or public site. How do I get in contact with an Optico representative?